A better and brighter future. A world that accepts people for who they are. Voicing opinions for those who may not be able to. These are just a few elements of a future envisioned by five special teenage girls. 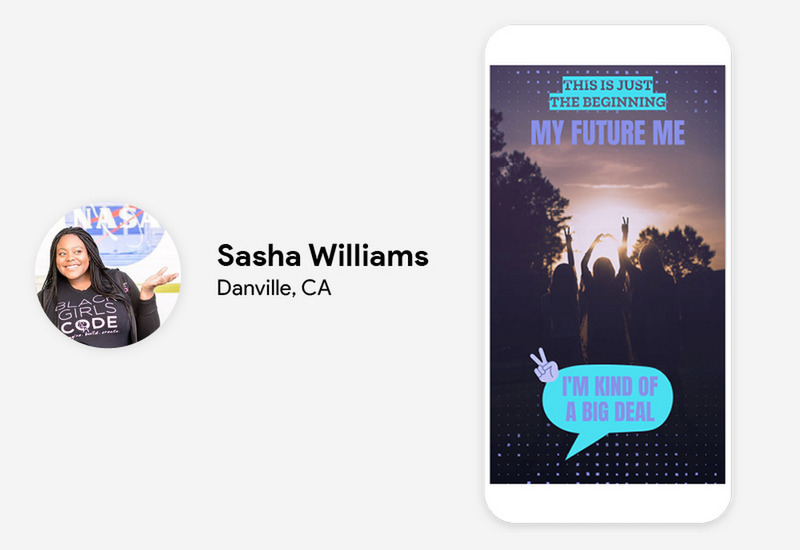 Along with Snap Inc., we created the #MyFutureMe contest to challenge teens to design a geofilter based on the future they imagine for themselves. 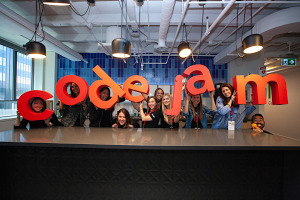 More than 22,000 teens entered the contest, and five finalists—chosen by Snap—are attending TEDWomen in New Orleans this week, where they’ll hear from entrepreneurs, innovators, artists and activists. 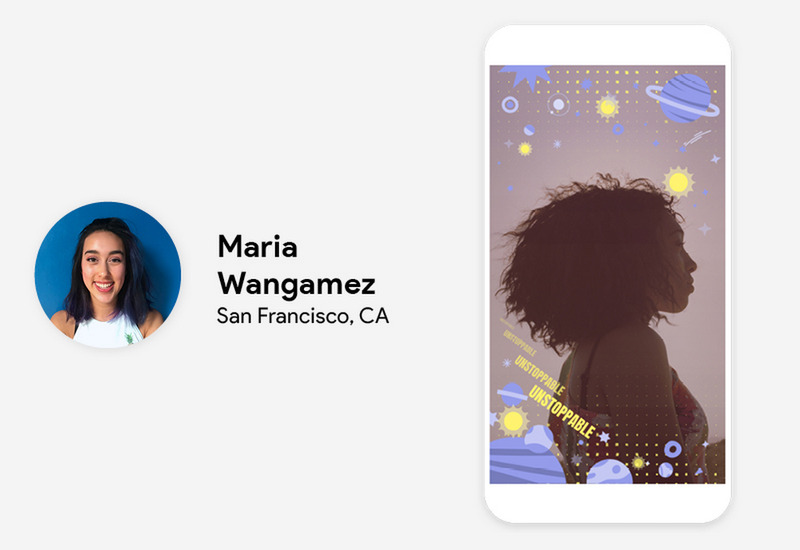 They’ll receive mentoring sessions from three Google engineers, and each girl will work with the Snap Design team to create her own, unique Snapchat Lens. 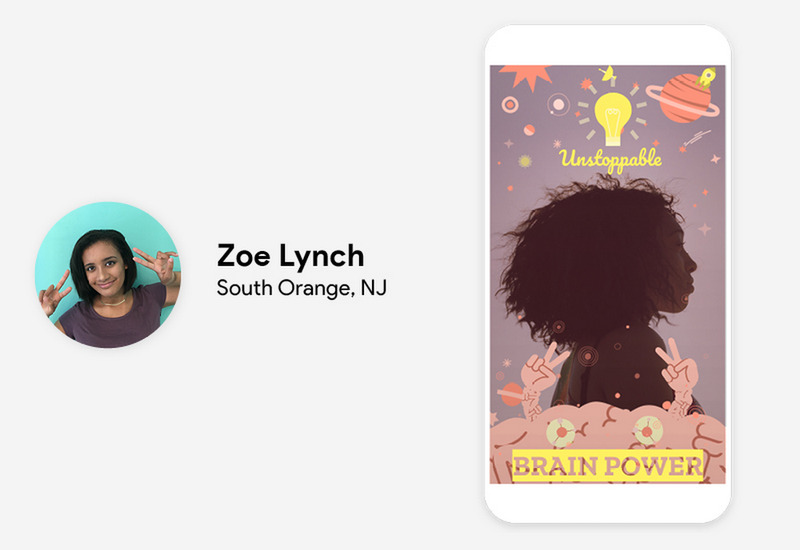 These finalists were chosen from 22,000 teens who entered the contest. 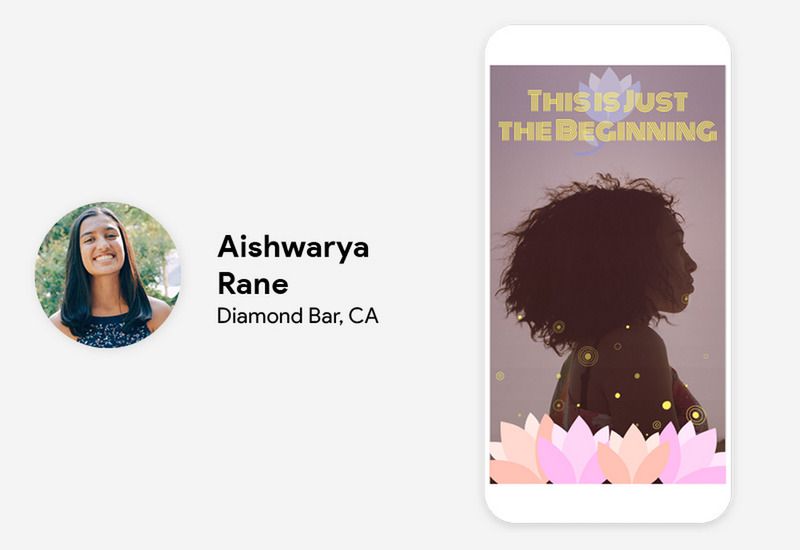 Here are the geofilters they created, as well as their vision for the future they not only imagine, but are determined to create. My dream is to bring computer science and robotics to third world countries. 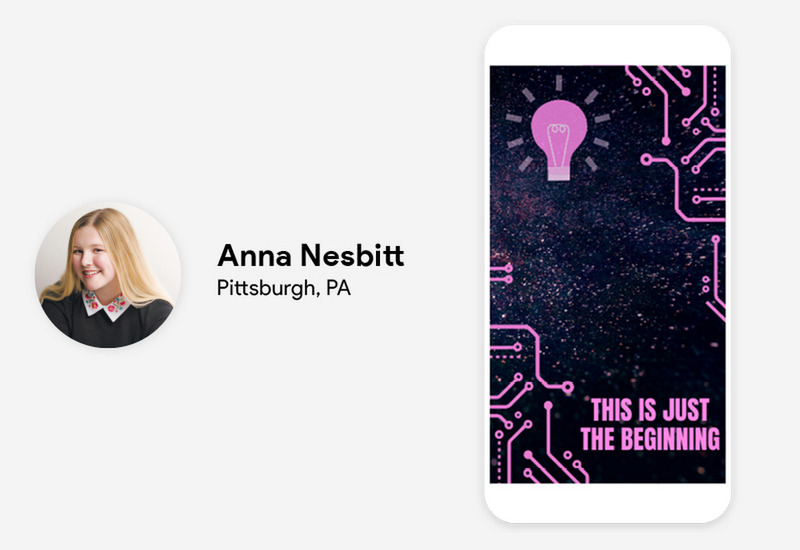 I'm taking coding classes right now and I am a part of a FIRST Robotics Team (Girls of Steel 3504) to learn as much as I can about coding and robotics so I can apply it to my aspirations. I started and ran a robotics team at my elementary school last year in 8th grade for a group of third graders. I taught them basic engineering and CS concepts. I hope to expand my program to two more teams this year, focusing on inspiring girls! 7.5 billion people make up the world’s population; each with their own unique set of skills and talents. My vision for the future is one where innovation is accessible to all. As a multiracial girl, I believe it’s important for everyone to be included. Whether it's tutoring math, volunteering, creating problem-solving applications, or doing something as simple as spreading positivity; I am doing as much as I can to make my vision for the future a reality. Together the possibilities are endless. 7.5 billion people—that’ s a lot of brainpower! My vision for the future is to have greater gender, racial, and social equality and increase representation for minorities. I hope to develop interpersonal skills as well as public speaking skills. I believe these skills will allow me to voice my opinions for those who may not be able to. I am a part of Girl Up, a campaign by the UN to empower girls around the world, and Society of Women Engineers at my high school. I actively work to bring awareness about contemporary issues (i.e., human trafficking) and increase female representation in STEM. An educated world. A world that accepts people for who they are. A world without barriers to education, whether those be financial, geographical, or social. I want to develop a comprehensive education system that can be instituted across the globe; one that is not standardized, but can be changed and suited to varying levels of different types of intelligence (mathematical, scientific, linguistic, artistic, athletic...). To accomplish this, I will start a company, and gather creative, forward-thinking people around me; ones with unique and fantastic skills in coding, educating, animating, advertising and calculating. Together, we will educate the world. The future I envision is a better and brighter one. A future where everyone is equal, and confident in who they are, and not judged or mistreated for that. I am currently trying to make this possible through my skill set around gaming and coding. I advocate for young African American girls and inspire them to become creators of their own future, through technology. I have also made a social justice video game about Black History, that won me a trip to the White House! My future me wants to make a difference. I'm kind of a big deal.